Tina Fey (left) and Millie Bobby Brown will be among the presenters at the 2018 Emmys on Sept. 17. The stars are lining up for the 2018 Emmys. With less than two weeks to go until the award show, E! 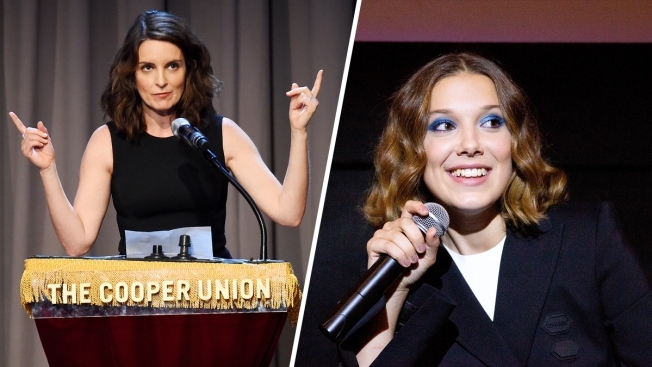 News can exclusively reveal that nominees Kate McKinnon and Millie Bobby Brown will serve as presenters for the live telecast from Los Angeles. As for who could win big, many eyes are on some first-time nominees including Ricky Martin, Penelope Cruz and Issa Rae. The 2018 Emmys air Monday, September 17 at 8 p.m. ET on NBC.